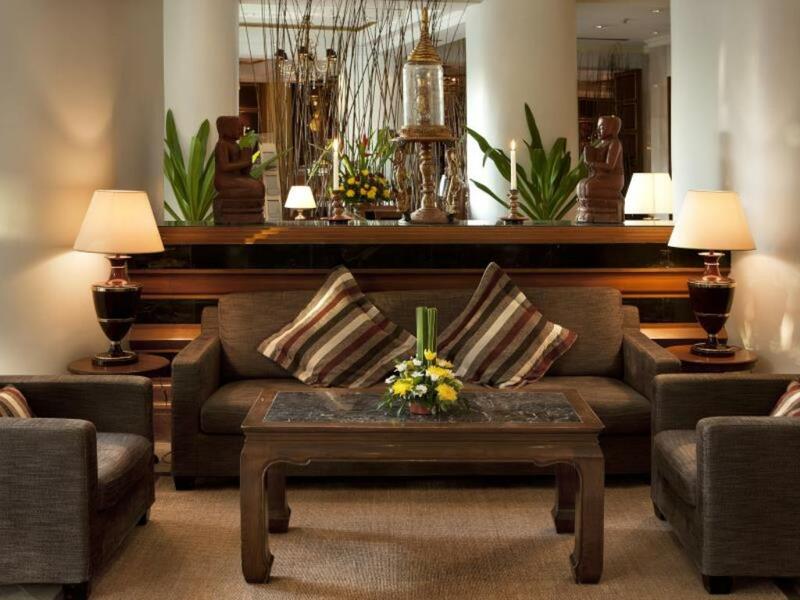 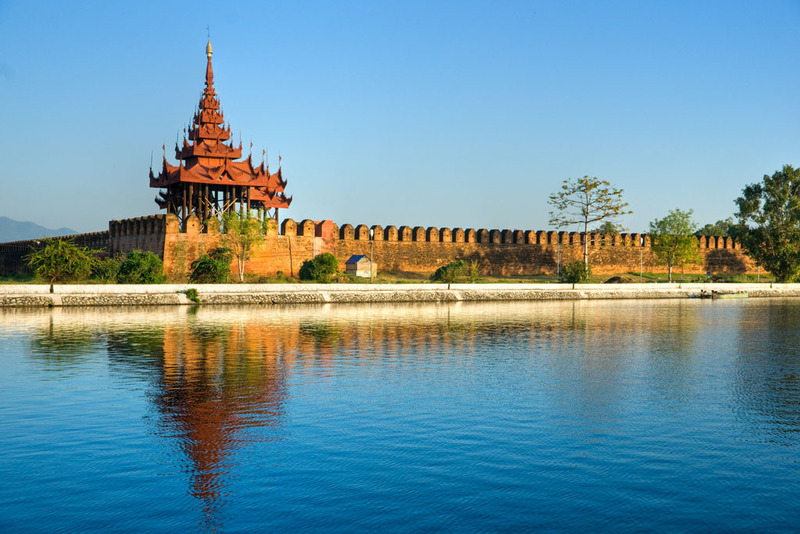 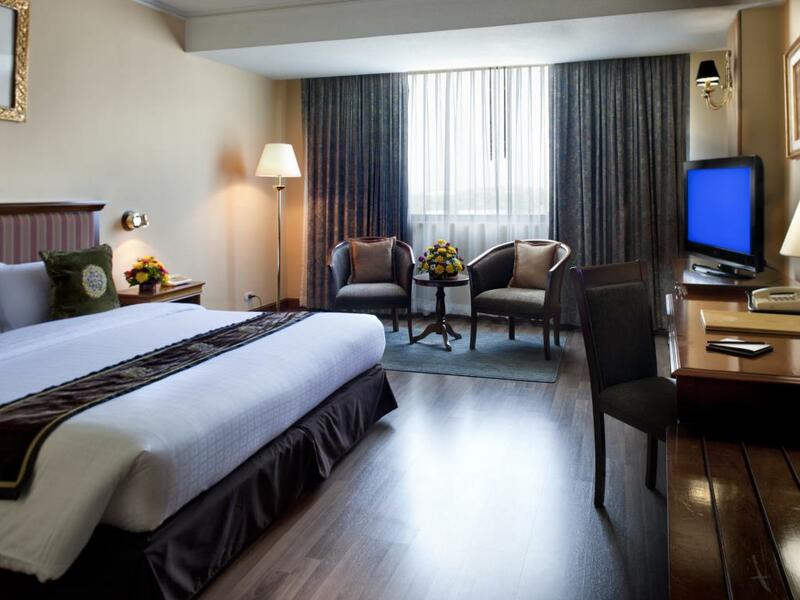 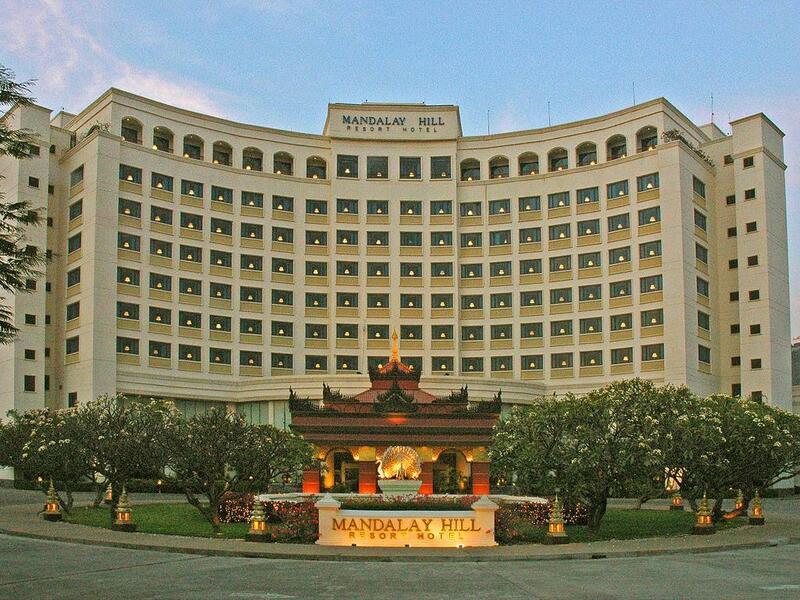 5 star hotel at the foot of Mandalay Hill, north of the Mandalay Royal Palace. 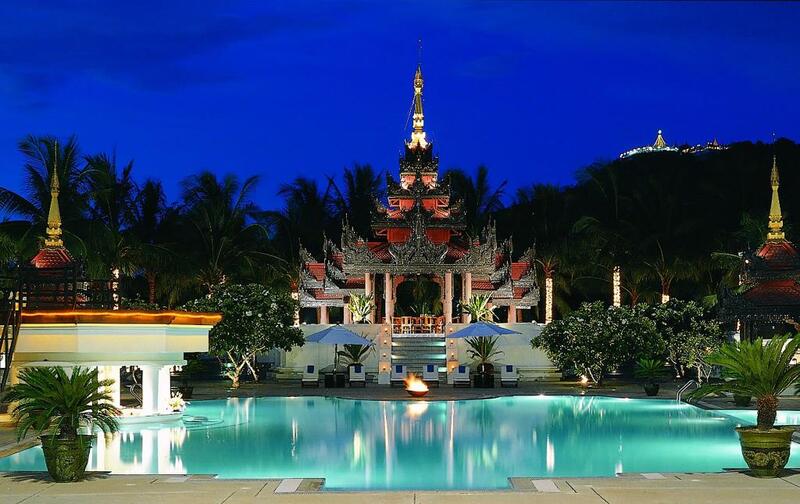 Beautiful landscaped garden, swimming pool, spa and fitness center. 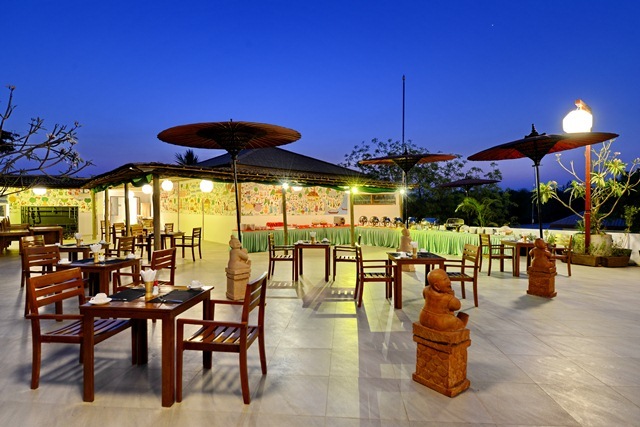 Restaurant and bar.